Please click here to see the edition of BuilderBytes for 6/26/15 on the Web. Greetings from PCBC 2015 in San Diego! Please click here to see this special Thursday edition of BuilderBytes for 6/25/15 on the Web. PCBC: Where are the first-time buyers? 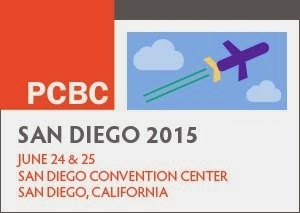 Attending PCBC in San Diego this year? Be sure to check out a panel discussion I'll be leading on Thursday, June 25th from 2:30-3:30pm in Rooms 30A-E at the San Diego Convention Center. Panelists will include Tim Costello (CEO, BDX/BuilderHomesite), Mike Taylor (Division President for Inland Empire, Pardee Homes) and Mike Surges (National Strategic Alliance Manager, iMortgage). Please click here to see this special Wednesday edition of BuilderBytes for 6/24/15 on the Web. Please click here to see the edition of BuilderBytes for 6/23/15 on the Web. Please click here to see the edition of BuilderBytes for 6/19/15 on the Web. Please click here to see the edition of BuilderBytes for 6/18/15 on the Web. Please click here to see the edition of BuilderBytes for 6/16/15 on the Web. 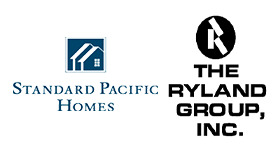 In a bid to take advantage of an improving housing market, public builders Standard Pacific Homes and Ryland Group have announced a merger, with the combined company owning or controlling 74,000 lots in 17 states. My column for the June 2015 issue of Builder and Developer magazine is now posted online. This is also something I will be covering at a session on Thursday afternoon at this year's PCBC in San Diego featuring panelists Tim Costello (President, Builder Homesite), Mike Taylor (Division President/Inland Empire for Pardee Homes) and Mike Surges (National Strategic Alliance Manager, iMortgage). A few months ago, I wrote about the partial absence of the first-time home buyer and what impact that is having on the housing market. In order to delve into this subject in more detail, I will also be moderating a panel of experts for a session entitled “Where are the First-Time Home Buyers?” on Thursday afternoon at this year’s PCBC in San Diego. To read the entire June 2015 issue in digital format, click here. Please click here to see the edition of BuilderBytes for 6/12/15 on the Web. Please click here to see the edition of BuilderBytes for 6/11/15 on the Web. Please click here to see the edition of BuilderBytes for 6/9/15 on the Web. Please click here to see the edition of BuilderBytes for 6/5/15 on the Web. Please click here to see the edition of BuilderBytes for 6/4/15 on the Web. Please click here to see the edition of BuilderBytes for 6/2/15 on the Web.